If you have strong and healthy teeth, consider using dental sealants to keep them that way. Dental sealants are thin resin/plastic coatings that are painted onto the chewing surfaces of the back teeth to prevent decay. Dental sealants form a protective shield to help prevent tooth decay. Sealants are most commonly used on the back teeth, which are most prone to developing cavities and decay because they’re difficult to brush and floss. The chewing surfaces of molars and premolars have grooves and fissures that are harder to keep clean. Sealants on teeth provide extra protection. While fluoride washes and treatments are excellent methods of re-mineralizing enamel between cleanings, we believe that sealants on teeth are the best way to keep your smile protected. First the tooth surface is etched with a mild acid to create better bonding of the sealant. The surface is rinsed and dried. Then the liquid sealant is painted into the grooves of the tooth. Finally a high intensity light is used to harden and cure the liquid plastic. Dr. Kidess recommends dental sealants as a great way to keep teeth healthy and well-protected, as well as cut down on future dental costs. Despite offering years of protection, dental sealants only take minutes to apply. First, Dr. Kidess and her team will thoroughly clean your teeth, then apply the sealant material to the grooves of your teeth. 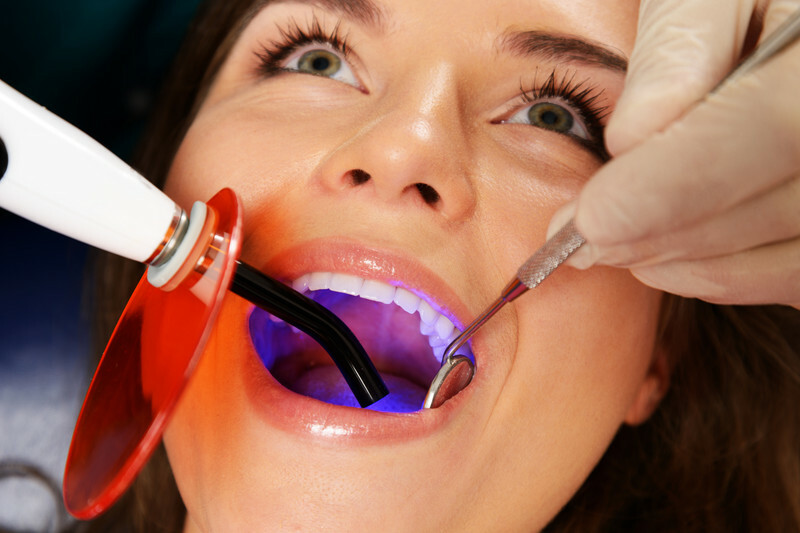 The sealant will then be set with an ultraviolet light or laser, which hardens the material so that it bonds to the tooth’s surface. Dr. Kidess will then provide you with at-home instructions to ensure that your dental sealants are well-maintained.